On 27 July 2018, the Parliament of Moldova adopted one of the most controversial laws that rang alarm bells among a large part of civil society and further undermined the relations with the country’s development partners – the Capital Amnesty law. According to this law, any citizen of the Republic of Moldova that is currently hiding his or her assets can legalise them by paying a 3% fee from the declared value of the asset. No other fees or taxes will need to be paid and all this with the guarantee of not being prosecuted for tax evasion on these assets. The supporters of the capital amnesty law refer to the positive experience of other countries that managed to diminish the informal sector and bring additional money into the public purse. However, there is no clear evidence about the benefits of capital amnesties, as worldwide the results are rather mixed. The International Monetary Fund (IMF) warned that, in the long run, such amnesties can undermine tax compliance even more, and that their long-run costs often exceed the short-run benefits1 (e.g. in Argentina, Turkey, Philippines or Kazakhstan). Research shows that capital amnesties can be beneficial in the context of a well-functioning, anti-money laundering2, integrity and anti-corruption framework, and under the condition that the initiatives are part of wider voluntary compliance and enforcement strategies. An amnesty alone may not be sufficient to induce delinquent taxpayers to declare unreported income3. 1. 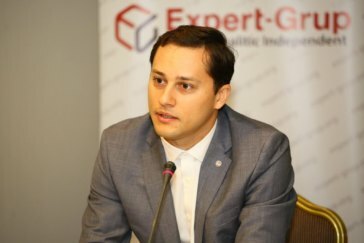 The anti-money laundering (AML) framework in Moldova is weak and its effective enforcement in relation to the forthcoming capital amnesty is questionable. The entire AML system in Moldova is quite fragile. After massive money laundering cases that were uncovered in 2014 (e.g. USD 20 billion “Russian Laundromat” case), involving banks, judges, and public institutions, the country reformed its AML provisions: a new law on AML was adopted quite recently in December 2017, along with some major institutional reforms conducted in this regard. Although, these measures were necessary and very important, more time is needed to ensure that the legislation is effectively enforced and the AML framework is robust enough to prevent any abuses of capital amnesty. 2. Weak corruption and fragile integrity framework continue to exist. Moldova is ranked 122nd out of 180 countries according to the Corruption Perception Index 2017. Such a high level of corruption clearly points to the fact that among the main beneficiaries of this law could be the corrupted officials, who instead of being punished for their misbehavior, will be favored by allowing them to legalise their illegally attained assets. Even though the law on capital amnesty does not provide the guarantee of non-prosecution of cases other than tax evasion, it is very likely that corrupted individuals will benefit from this law. 3. Timeframe for capital amnesty is too short. Another source of concern that can undermine the enforcement of AML legislation is related to the fact that the duration of the capital amnesty, only 2-3 months, is very short. Usually, similar programmes run for about one year or more, in order to allow all interested parties to benefit of it. This short duration raises the concern that the purpose of the programme is not to extend the tax base, but to legalise illegally obtained and owned assets by a narrow group of vested interests. Furthermore, due to the short timeframe, potentially high volumes of transactions could overwhelm the capacity of banks to apply the AML measures effectively, which is one of the risks that was also raised by Financial Action Task Force (FATF) in relation to capital amnesties4. 4. Negative implications for the banking sector. Since the amnesty law will allow individuals that illegally obtained cash to legalise it and even deposit it in banks, it exposes the banking sector to massive influx of money. This might undermine the stability of the banking sector, because these liquidities could be withdrawn unexpectedly from the Moldovan banks. 5. The law was designed in a non-transparent and non-participatory manner. The capital amnesty law was adopted with record high speed. It was registered on 24 July 2018 and adopted on 27 July 2018, automatically in two readings, without any public consultations, including with relevant international organisations (e.g. Moneyval). The way in which the law was adopted raises doubts about the quality and intentions behind it. 6. Detrimental implications on tax compliance expected in the long run. The amnesty law makes the costs of tax evasion very low and its benefits very high, in comparison to tax compliant behavior. The individuals benefiting of capital amnesty will be treated preferentially because they will be exempted from any form of penalties for hiding the declared assets. A 3% legalisation fee, as it is foreseen by the Amnesty law, is very low in relation to the personal income tax applied in Moldova (7% and 18%). It makes this capital amnesty one of the most generous in the world. Furthermore, an amnesty law necessarily creates the expectation that the government will repeat it in the future, undermining the incentives to pay taxes and creating strong propensity for tax evasion. Moldova is far from a robust anti-money laundering and anti-corruption framework, hence it is simply not prepared for amnesty measures, risking that the recent amnesty law will be (ab)used by criminals, including those benefiting of recent cases of money laundering and banking fraud. Since the amnesty law has been adopted, the strategy should now be to monitor its implementation. In this regard, all related parties should play their role: the parliament should ask the government for periodic (monthly) public reports on the enforcement of this law, while the civil society with support of the development partners should engage in alternative oversight and monitor its implementation. The results will be seen after 1 February 2019, when the capital amnesty will end, potentially also impacting the parliamentary elections being held on 24 February 2019. The opinions expressed in this publication are those of the author(s) and do not necessarily reflect the opinions or views of IEP.